While that part is still up in the air, the folks at GizmoChina havereceived a leaked screenshot, allegedly showing pricing for both the 16GB and 64GB OnePlus One models. 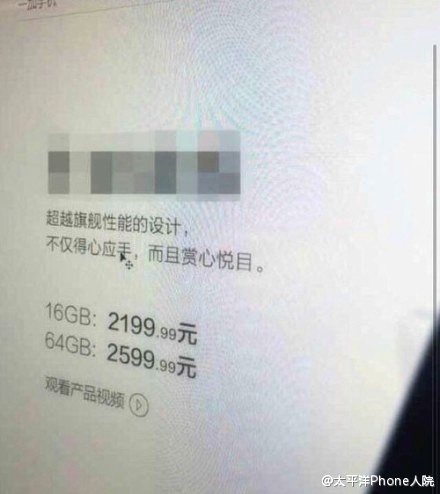 Looks like we could (unofficially) be looking at about $353 for the 16GB model (2199.99 RMB), and $417 for the 64GB version (2,599.99 RMB). Pretty impressive given there sheer amount of hardware being offered for the price. In comparison, the HTC One M8 and Samsung Galaxy S5 can be found for around $650 off-contract. Of course, we’ll let the OnePlus guys make the final US and European pricing for the phone official and the best part is we wont have to wait much longer. The OnePlus One will be unveiled tonight, at 11:30pm PDT (Pacific Time)/2:30am ET (Eastern Time). OnePlus recommends following their Twitter account here, or the live coverage in their forum here for the latest from the event.